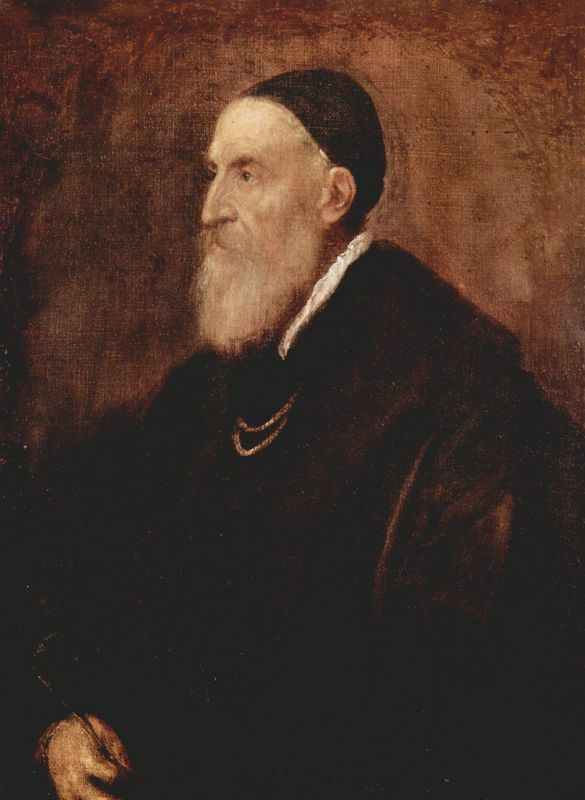 Leonardo Loredan was the 76th Doge, or Chief Magistrate, of the Venetian Republic. His twenty-year reign, from 1501 until his death in 1521, was marked by the War of the League of Cambrai and the flourishing of the fine arts. When Leonardo Loredan assumed the role of Doge, Italy was not the unified, boot-shaped republic as we know it today. Rather, it was divided into a slew of smaller city-states, such as the Venetian Republic and the Papal States, which maintained a tense equilibrium. When Pope Alexander VI died two years into Loredan's reign, the Venetian Republic assumed control of several territories close to Venice in the northern Papal States. 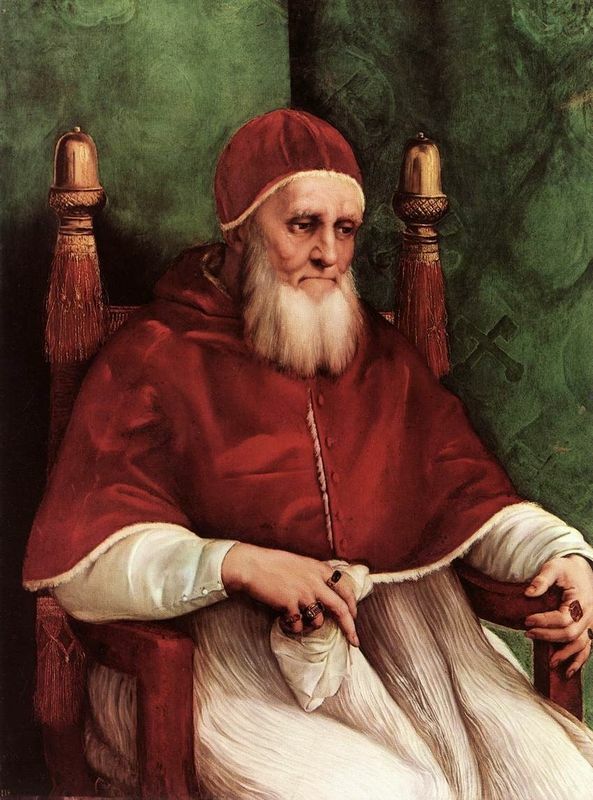 Since choosing a new Pope is a fairly lengthy ordeal, Venice (and presumably Loredan) assumed that once the new Pope, Julius II, took power, he would simply accept Venice's dominion over the territories. It was also believed that this new Pope had considerable pro-Venetian sentiments. The new Pope, undoubtedly under the influence and persuasion of his various advisors, instead ex-communicated the entire Venetian Republic and created an anti-Venetian alliance with France, Spain and the Holy Roman Empire called the League of Cambrai. He did this to help prevent the spread of Venetian influence in Northern Italy. Venice was known for its appreciation of the sensual at the expense, in the eyes of the Pope, of the spiritual. If Venice became the most powerful city-state in Italy, it could turn all the citizens against the Pope which means they could ultimately be turned against God. This was not just a matter of control in Northern Italy, the Papal States would have argued, this was a war for the souls of Italians everywhere. Interestingly, this original alliance was short-lived due to infighting between the Pope and the King of France. In 1510, therefore, the Papal States realigned themselves with - and presumably un-excommunicated - the Venetian Republic. The Veneto-Papal alliance faced itself with the task of eliminating French influence in Italy. Unfortunately, this alliance only led to the loss of Padua, one of the most vital Venetian cities, at the hands of the French and its allies. After it was discovered that the Pope had betrayed Venice, Loredan called its citizens to action, emphasizing the need for sacrifice and total mobilization. Venice joined the French to retaliate against Pope Julius. With the help of the French, Venice was able to regain all of its lost territories including Padua. Furthermore, Pope Julius was forced to pay his outstanding debts to Loredan and his family members at the sum of 500,000 ducats, a sum that would be worth millions of dollars today. Although Venice came out victorious in the War of the League of Cambrai, the Italian city-states would continue to fight with each other for the next fifty years or so. 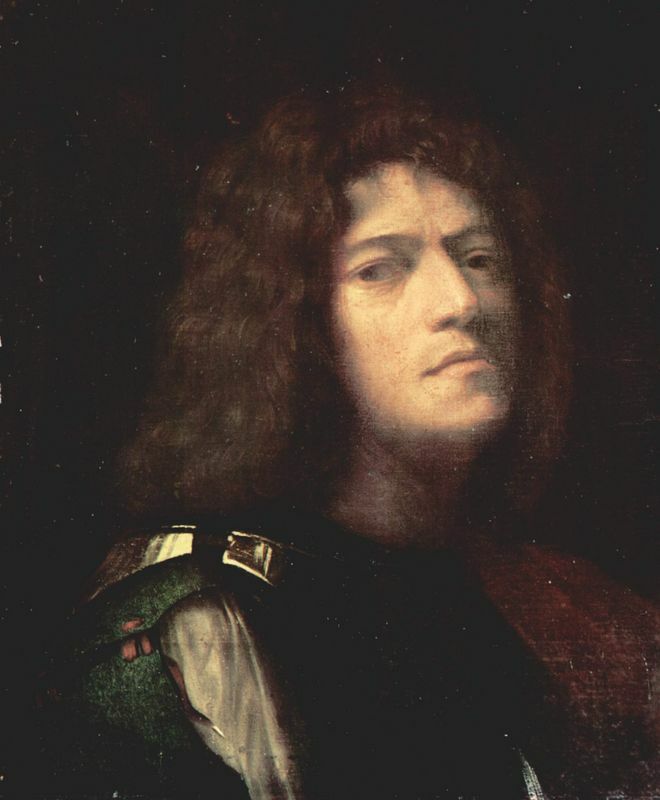 Leonardo Loredan, for his part, can be credited with asserting Venice's authority and refusal to be bullied and used by the Papal States. During Doge Leonardo Loredan's reign, Venice experienced its own form of small-scale artistic Renaissance. Owing much of its success to the style, efforts and teachings of Giovanni Bellini, Venetian art during the first twenty years of the 1500s emerged as a style distinct from that of Florence and Rome, the other two great art centers in Italy. Doge Leonardo Loredan was one of the strongest supporters of these artists, encouraging them to portray their love of Venice through art and providing numerous commissions. With the Doge's patronage, painters like Bellini, Titian and Giorgione championed this new style, which emphasized color and feeling over structure and draftsmanship favored by Florentine and Roman painters. 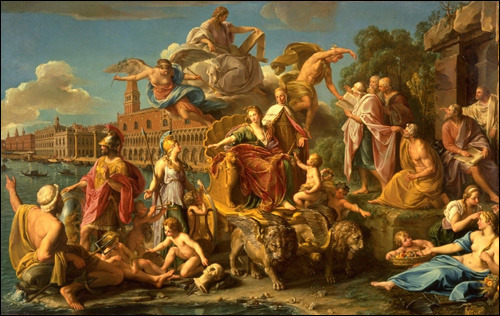 More than two hundred years after Doge Loredan's death, Pompeo Batoni immortalized his support of the arts in a painting called The Triumph of Venice. 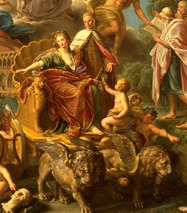 In this allegorical painting, the central figure is a woman meant to represent Venice seated atop a shell-shaped carriage drawn by two winged lions. The winged lions, although seemingly an odd choice, were actually associated with St. Mark, a patron saint of the republic. Venice, the woman, reaches out a delicate hand toward Minerva, the Roman goddess of wisdom and patron of the fine arts. Over Venice's shoulder stands none other than the Doge Leonardo Loredan, gazing protectively and proudly at her.